I first applied as base coat Sally hansen's Miracle Cure Stengthener. 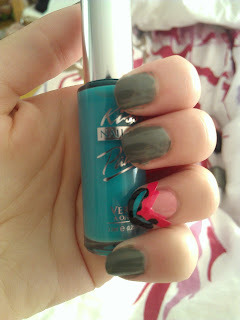 Than I applied Sparrow me the drama [OPI] on my ring finger. 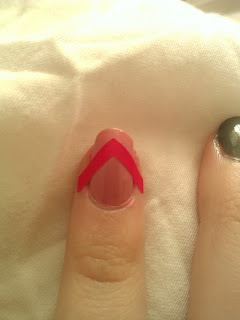 And Sew psyched [Essie] on my other fingers. After it dried I applied a guide line sticker on my nail. [From the kiss nail art set]. 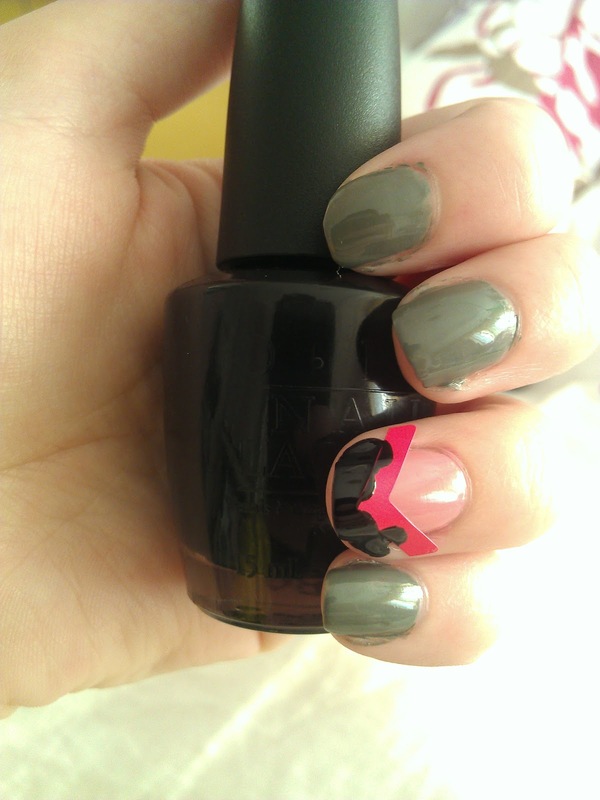 On the top of my nail I applied Lady in black [OPI]. 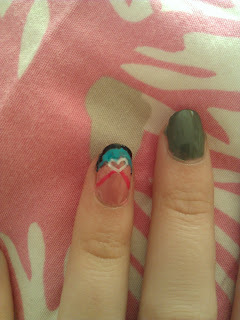 And I lined around the guide line sticker with Beach pink [Kiss] & Soft blue [ Kiss]. I waited till it was dry. Than I removed the guide line sticker. I added a nail art sticker [ Sweet romance - Essence]. 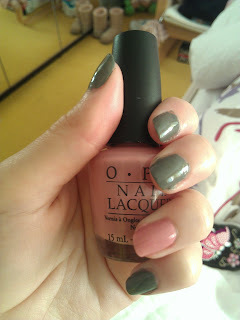 And a top coat from OPI. 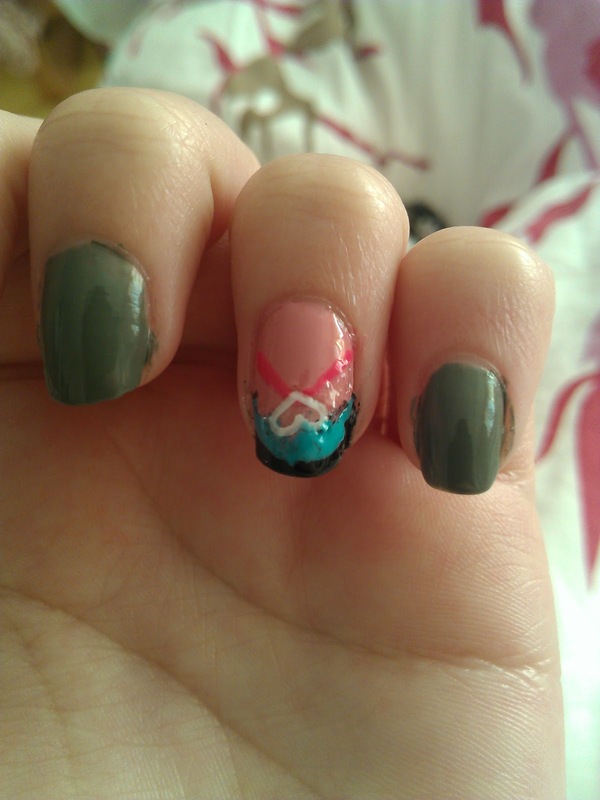 I will deff do more nail art with these nail art nail polishes. And maybe I will also do a review about them.